Essensys believes in simple and creative writing. Creative writing is any writing that goes outside the bounds of normal professional, journalistic, academic, or technical forms of literature. 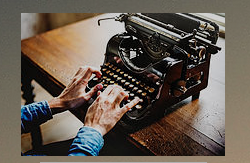 The creative writing concentration within the website is designed for majors with a strong commitment to developing their website with creative work. We provide write-ups by adding creative ideas for making research contents, stories, poetries.